AUSTIN, TEXAS — There was a time, and not that long ago in the grand scheme of things, when Gurf Morlix didn’t really think of himself as a songwriter. A guitar player, sure — armed from the get-go with the dead-aim chops and cool-handed confidence of a natural-born gunslinger. Later on, he took on the mantle of producer, too, parlaying his myriad strengths as an ace sideman into an equally lauded career helping a veritable who’s who of the most formidable poets in Americana find their “growl” and cut their deepest grooves on record. But songwriter? That handle took him a bit longer to fully embrace. Nevermind the fact that his perspective on the matter was inevitably skewed by his years of working with such grading-curve-blowing talents as Blaze Foley, Lucinda Williams, Butch Hancock, Robert Earl Keen, Mary Gauthier, and Ray Wylie Hubbard: a high bar is a high bar, and Morlix, for all of his famed minimalist aesthetic both onstage and in the studio, has never been one to cut corners when it comes to quality. So by the time he finally did feel ready to step out with 2000’s Toad of Titicaca, there was no mistaking his debut for the work of an artist content to make due with just good enough. And now, nearly two decades later, when Morlix deems the nine new cuts comprising his 10th solo album, IMPOSSIBLE BLUE (due Feb. 8 on Rootball Records), to be “the best songs I’ve ever written,” take it as a matter of fact that every word, line, and note has been duly vetted by the toughest critic he’s ever encountered in his 50-odd years of making music: himself. 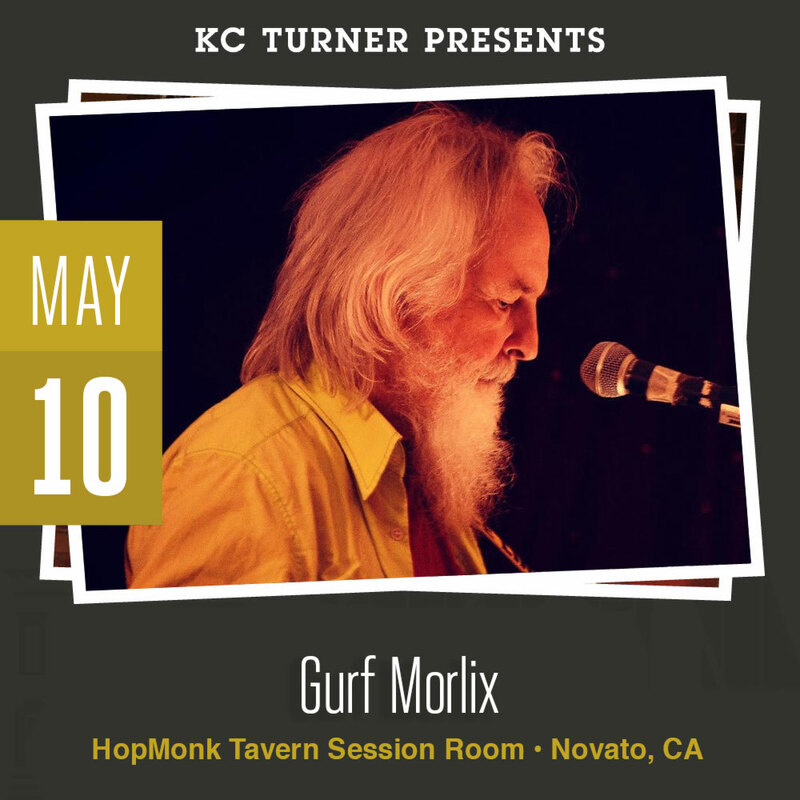 But as Morlix has learned both through studying the masters and from his own experience, writing to that level is not something that ever gets appreciatively easier, no matter how many songs you’ve written or how much fame — or at the very least, peer and critical acclaim — you’ve achieved. Case in point: “Backbeat of the Dispossessed,” the closing track on Impossible Blue. Like more than a few of Morlix’s most deeply affecting songs from albums past, it’s a heartfelt but haunted, bittersweet eulogy to a dearly departed friend, in this case his oldest brother in musical arms, drummer Michael Bannister. They met as kids in Morlix’s native Buffalo, played in the same bands together all through junior and high school, then migrated south to Key West and later lived together off and on in both in Austin and Los Angeles. More than once their friendship would hit the rocks and they’d lose touch for long spells at a time, but as Morlix sings in the song, “I always knew I would see you again” — until the day he learned that Bannister had taken his own life. That Bannister, like Blaze Foley before him, would someday be memorialized in a Morlix song was inevitable. It just took Morlix the better part of a decade: not to get around to it, but to get it right. For all the time he put into it, though, “Backbeat of the Dispossessed” offers no answers, only more questions — as befits not just a paean to a complicated lost soul, but the soul-searching work of a man who’s spent the better part of the last two years taking a long, hard look at his own mortality. In February 2016, Morlix suffered a serious heart attack en route to a gig. He was soon back on the road and back in the studio, recording not just one but two of the strongest albums of his career (with IMPOSSIBLE BLUE following 2017’s The Soul & the Heal, the songs for which were already written before his heart attack). But that doesn’t mean Morlix just shrugged off the whole experience and lumbered on an unchanged man. Far from it. Indeed, true to its title in both spirit and tone, IMPOSSIBLE BLUE is arguably the bluesiest album Morlix has ever made. Granted, it’s not quite an all-out genre trip like his 2004 album Cut ‘n’ Shoot, which found that year’s Austin Music Hall of Fame inductee crashing the honky-tonks with a sincerely wicked grin; but when he drops lines like “crawling out of primordial ooze / learning how to sing he blues” (from “My Heart Keeps Poundin'”), there’s no mistaking his conviction as anything but sincere. If it’s not all in the groove, like the way the opening “Turpentine” rumbles like a tin-roofed juke joint flanked by train tracks, it’s in the words: The gut-twisting agony of jealous heartbreak served up in “I Saw You” could chill even Robert Johnson to the bone. After all, what’s the use of living on “bonus time” if you don’t use it?